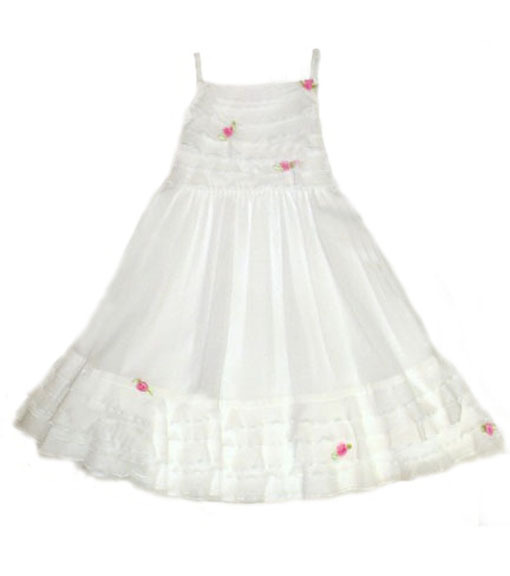 Home > Kate Mack - White Dress- Size 3t left only! Kate Mack - Lovely White Dress - enhanced with ruffels and roses. Back tie to ensure the perfect fit! Kate Mack- 100% cotton, Machine wash cold gentle cycle Tumble dry low cold iron on lowest setting as needed.